Our ALMAH Essentials scented jewels are inspired in the beautiful shapes the Sea and the Nature offer us: minerals, flowers, trees, fruits, precious stones, and sea stars. Minimalists designs in glass with an assorted palette of colours from gold, silver, aquamarine, red, pink quartz and amber , holding delicate and fresh fragrances as: apricot, rose, sandalwood, neroli and bamboo. Goldsmith wonderful balls holding inside delicate scented textile flowers. 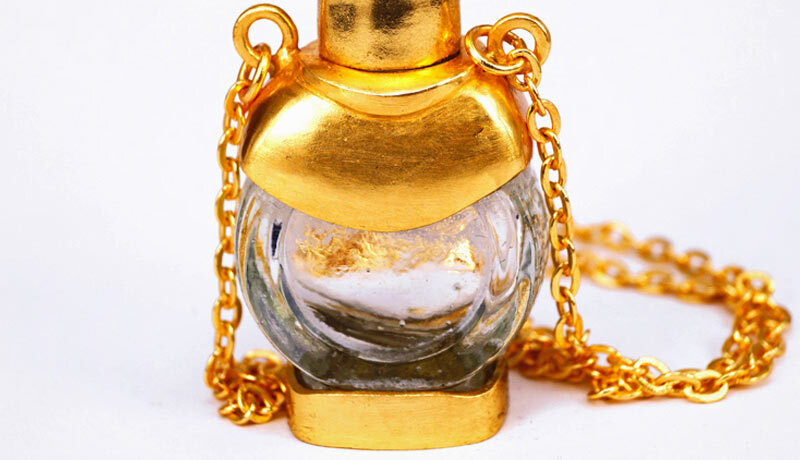 A nice solution to keep lasting your perfume for hours. The collection is based in spheres fused in golden, silver, and antique gold colours, sharing clean fragrances of apricot, bamboo and neroli. 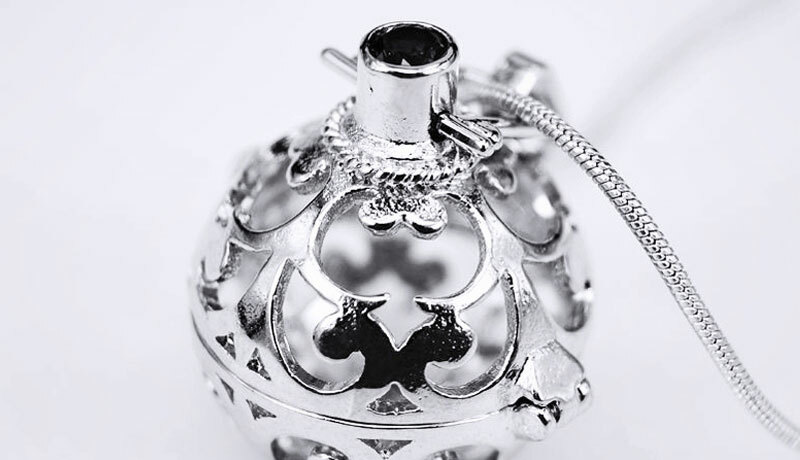 A unique and smart way to bring the perfume always with you. 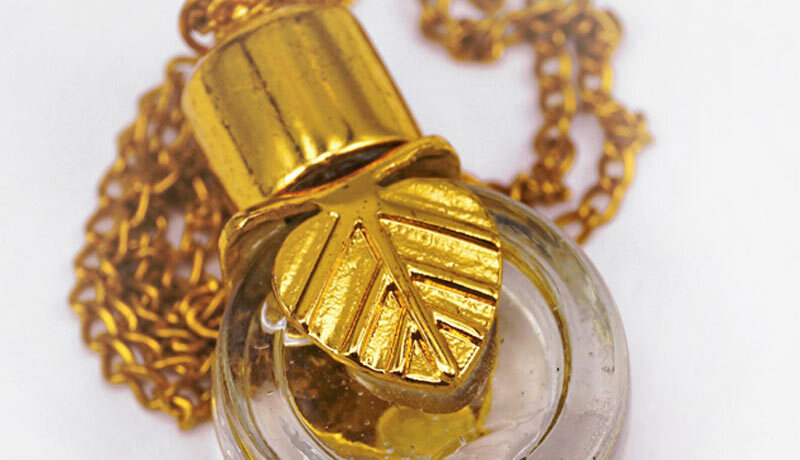 The concept comes from the Old Egypt god of Scents, Nefertum, and the traditional enfleurage process of extraction of perfumes from the flower’s petals. This is an allegory to the old Egypt perfumes manufactured in a very traditional way, keeping all the secrets of the Old times. 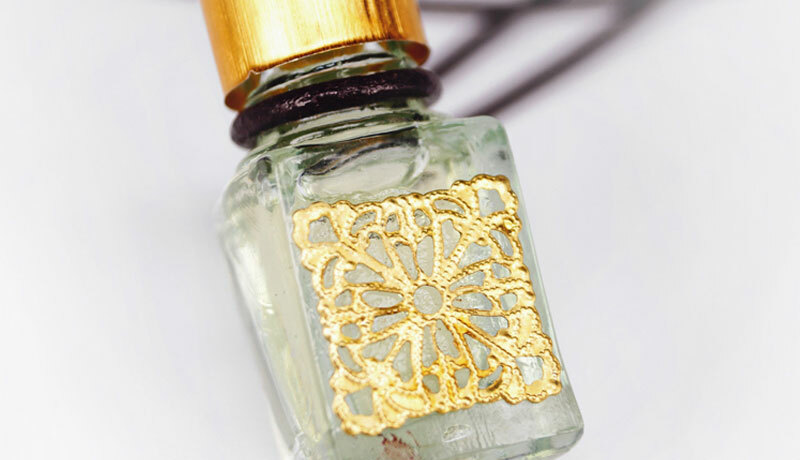 ALMAH Antique Design is a collection of scented jewels showing the pefumes of Vert de Bamboo, Millefoglis Rose and Aquamarine.A state of the Art collection evoking the most ancient customs and trends from the old times jewellers and perfumers. A new delicate collection of scented jewels, manufactured with glass and wearing nice gold and silver plating handcrafted in our factory for the most skilled crafters. 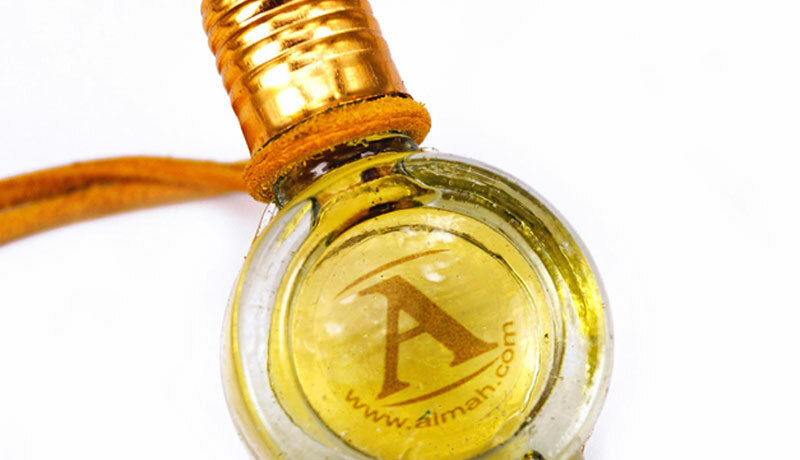 ALMAH Selection has the most trendy and natural fragrances, as Mediterranean Neroli, Sweet Apricot, Millefoglia Rose, Vert de Bamboo and Aquamarine. The best option to wear casual and elegant. 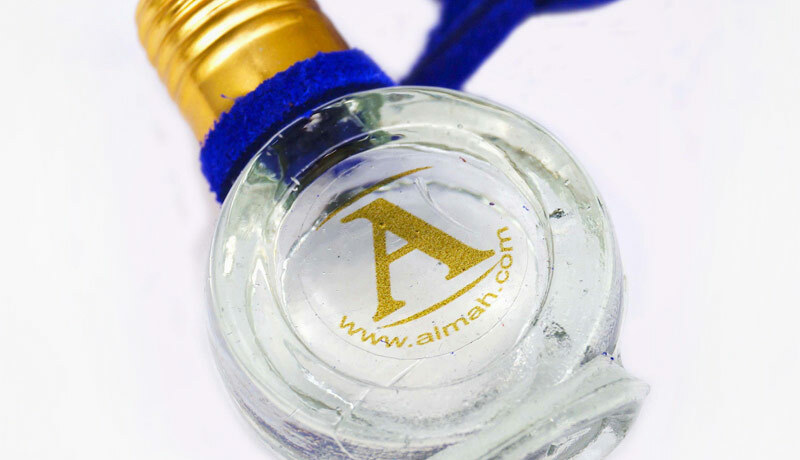 ALMAH Jewels reflects the smart handcrafting of our best tradition. A wonderful set of jewels to wear, having a a design flowing from the oldest traditions. 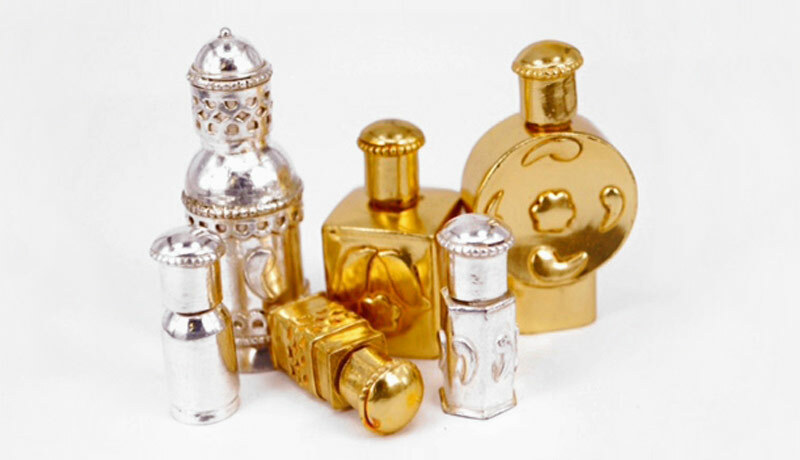 They are pieces fused in gold and silver, with the highest accuracy in reproduction of details. Exclusive fragrances: White Tea y Royal Black Tea.